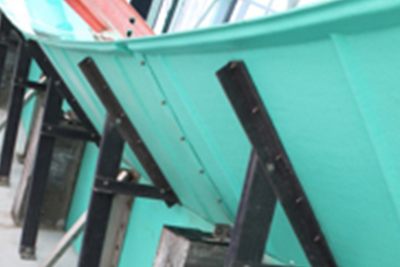 Also known as Upflow Baffles, Submerged Flow Deflection Baffles, and Stamford Baffles, the Warminster Fiberglass Company offers a range of Density Current Baffles. Experts recommend these baffles for a variety of applications. In fact, several tests have shown that installing density current baffles in your existing clarifier or a new one can enhance its performance by close to 40%. 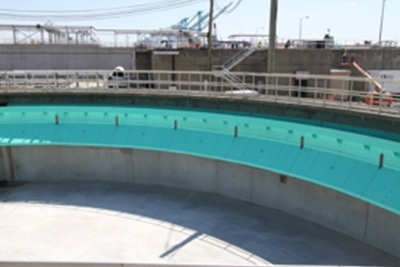 The main purpose of using this baffles is to avoid dealing with what is known as the ‘wall effect’, where the wall of the clarifier is covered by the density currents. As a result of this, the suspended solids in the current find a channel for flowing directly into the effluent trough. To prevent the Wall Effect, you have to ensure the baffles reach into the tank, up to 3 feet, by attaching them to the clarifier’s wall in a way that they are sloping downwards at a 45° angle. The density currents are thus redirected to the center of the tank rather than towards the launder. As a result, more solids settle down during the flow, enhancing the overall efficiency of your system.